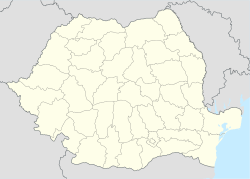 Ciumeghiu (Hungarian: Illye; German: Egisberg) is a commune in Bihor County, northwestern Romania with a population of 4,297 people (2011). It is composed of three villages: Boiu (Mezőbaj), Ciumeghiu and Ghiorac (Erdőgyarak). At the 2011 census, 50.6% of inhabitants were Romanians, 24.6% Hungarians and 24.5% Roma. This Bihor County location article is a stub. You can help Wikipedia by expanding it. This page was last edited on 8 June 2018, at 11:22 (UTC).